Robert T. Barrett is a professor of illustration at Brigham Young University, received a bachelor's degree and master's degrees in painting and completed postgraduate work in Germany. An accomplished painter, muralist, and illustrator, his work has been featured in many national magazines and in art exhibits across the country and in Germany. He and his wife, Vicki, have ten children and one grandchild and reside in Provo, Utah. Having taught a class on WWII and read so many books on the topic, I was fascinated to review the book “Christmas from Heaven – the true story of the Berlin Candy Bomber”. It is in a children’s book format, but is as much for adults as it is children – a great book to read and discuss as a family! I love history and learning from history. I love learning the stories of real people and the remarkable things accomplished in their lives which usually begin in a very small and insignificant way. This story is just one of those tales and reminds me that I too can make a difference by my own small acts of love and kindness. 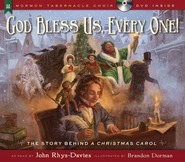 What a great book to add to our Christmas book collection to bring the spirit of Christmas into our home! 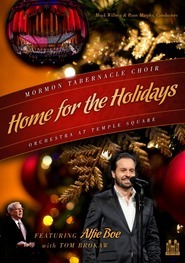 It even comes with a DVD with a 15-minute segment of the Christmas Devotional Broadcast where this story is told in a beautiful setting of the Mormon Tabernacle Choir. PLUS, it gives instructions on how to make your own candy parachute!! Loved it! What can I say? I was not a very good student of history…and even after serving in the Air Force for 10 years (yes! 10) I knew about "Operation Vittles" during the Berlin Airlift but had no recollection of "Operation Little Vittles." I can't believe I missed something like this in all my history study! Lt. Halvorson "Hal" became known the world over as Berlin's Candy Bomber. The children he met behind the fence that day touched his heart and after watching them share a piece of gum, he knew it would really take so little to cheer them up. After working with his cremates they made the decision to give away all of their own Christmas sweets to these sad children. To do this they created small parachutes weighed with their own rations of candy and sent them down out of the plane to the children… truly engineering a "Christmas From Heaven." Use this for Family Home Evening, it is so much fun! It includes a template to make your own parachutes! A tender story of compassion. This book beautifully illustrates what I love about Christmas stories. It's a story of compassion, creativity, and courage from an American pilot, reaching out to German children at the end of World War II. 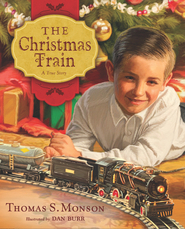 The book includes not only the story as told by Tom Brokaw during the 2012 Mormon Tabernacle Choir's Christmas concert, but also illustrations and photographs that add the perfect compliment to the tender story. Also included with the book is a DVD presentation of the telling of the story at the Christmas concert. A powerful reminder of how one simple act can turn into something much greater. Highly recommended. What a neat story! My children and I enjoyed reading the book and watching the DVD that came with it. This is a great example of the effect one person can have. Lt. Halvorsen had a simple idea that wound up affecting many lives. The children were excited to get candy and their parents hearts were able to soften because of the kindness shown to them. The end of the DVD is touching as well. I love how the book includes actual photographs and the illustrations match the time period. This is a great book that has helped bring the spirit of Christmas into our home and we will enjoy reading it every year. I highly recommend this book to everyone! What a great true story with an important lesson. I love the DVD that comes with the book and making the craft was so much fun! A great story about the spirit of Christmas! I love the quote in the book, "This is the real spirit of Christmas - to give whatever we have, no matter how small the gift." It reminds me of the story of the little drummer boy who had nothing to give to the baby Jesus, but to play a song for him. What a wonderful story to read to your family to help them better understand the spirit of giving during Christmas! It really is a touching story and amazing that one man was able to do so much for the German children during such desperate times. And they even show you how to make little candy parachutes at the end of the book so you can make them with your children. So fun! This is definitely a book you'll want to add to your Christmas collection. Warm fuzzy feelings, a must read for all ages! "The real spirit of Christmas-to give whatever we have, no matter how small the gift." Author Tom Brokaw gives his readers a renewed outlook on giving and receiving, and is a great story to read to your children or alone in hopes of remembering what is truly important during hard times. That feeling of warmth you get when you read something beautiful occurred while reading about the selflessness of these men during World War II. I appreciate the true story aspect, and the history which is unfolded through the use of pictures and details of the era making it an important book to read, and a fun way to encompass a greater moral of the hardships and appreciation of people and children during World War II. This easy to read, short version of the Berlin Candy Bomber holds your attention with just enough history, detail, and factual information along with beautiful graphics from illustrator Robert T. Barrett. Children in our society tend to forget the importance of giving and appreciating all they have whether great or small. This book will be a great reminder of how fortunate they are, and will be a great lesson in reflecting on one's true self. I highly recommend this book, it makes a perfect addition to any bookshelf! A must read during the Holiday Seasons! 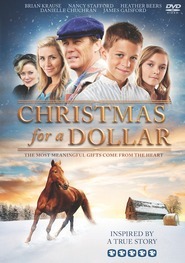 Christmas From Heaven is the true story that is perfect for youngsters because it shares the true meaning of Christmas. The story takes us back to 1948 where we meet young Hal Halvorsen a twenty-seven year old American Pilot who participated in the Berlin Airlift dubbed "Operation Vittles"a food drop that America and Britain did to keep West Berliners from starving after the war. One day Hal is inspired to give something to the German children standing by the fence at Tempelhof Air Base. He gives all he had which is two sticks of gum,that act of kindness was the beginning of The Candy Bomber. What a wonderfully touching story that is filled not only with beautiful, eye catching illustrations but also photographs of German children.There is even a personal letter from a young girl that captured the gratitude that the children felt.The history that this story provides is priceless, a true story that really shows us the meaning of Christmas! There is even instructions on how to make a candy parachute. This is a beautiful hard back book, with a lovely dust jacket. 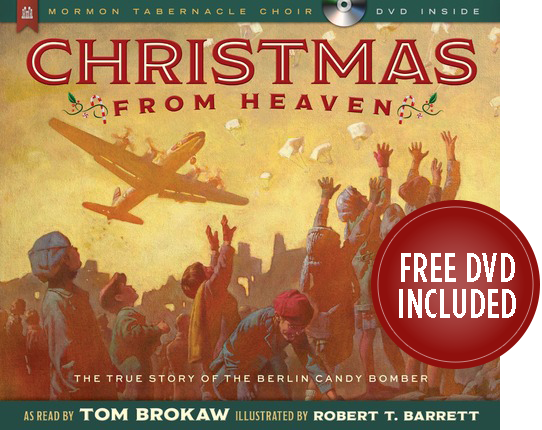 A wonderful added bonus is a dvd that has Tom Brokaw reading the story.Perfect for gift giving, "Christmas From Heaven" is sure to become a keepsake to be passed down and read each holiday season. 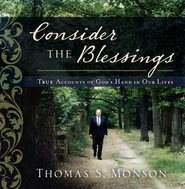 A complimentary copy of this book was provided for review. This is a beautifully made book. The book has illustrations with picture inserts of the actual people depicted in the story. On Christmas Eve, 1948, American pilot, Gail Halvorsen (Hal), was delivering 20,000 pounds of flour to war-torn Germany in what was termed "Operation Vittles." On this delivery his mind traveled "back six months to the day that had changed his life." He talked with them and marveled at their humble, grateful attitudes. He offered them two sticks of gum and wished he had more to give. Read this amazing book and find out how Hal became known as "the candy bomber." A VERY TOUCHING ~ TRUE ~ STORY! As soon as it was over, we talked for a minute about how one person doing one good thing makes a difference, and then my daughter ran the book to the neighbor's house because she wanted to share it before they went to bed. Christmas From Heaven is awesome. It would be a perfect gift for families with older kids, especially if you attach some mint gum to go along with the story. I have a feeling it will be making the rounds throughout our neighborhood this year. Though I was not one of the lucky few who got to witness the Mormon Tabernacle Choir's 2012 Christmas Concert for free, Deseret Book has rewarded the rest of us...especially with this wonderful book and DVD. Perhaps it's putting a little salt on the wound to make the rest of us pay to watch such a wonderful program that we weren't fortunate to see in person. Still, what can you say with a story like this. What a gift to have Tom Brokaw (a tough, left of Breshnev, atheist at worst, agnostic at best, journalist) share this story in a way that truly uplifts the hardest among us. This story would make a rock cry. It's touching. Can we expect every invited guest going forward to get a book/DVD or even CD deal? I hope so.